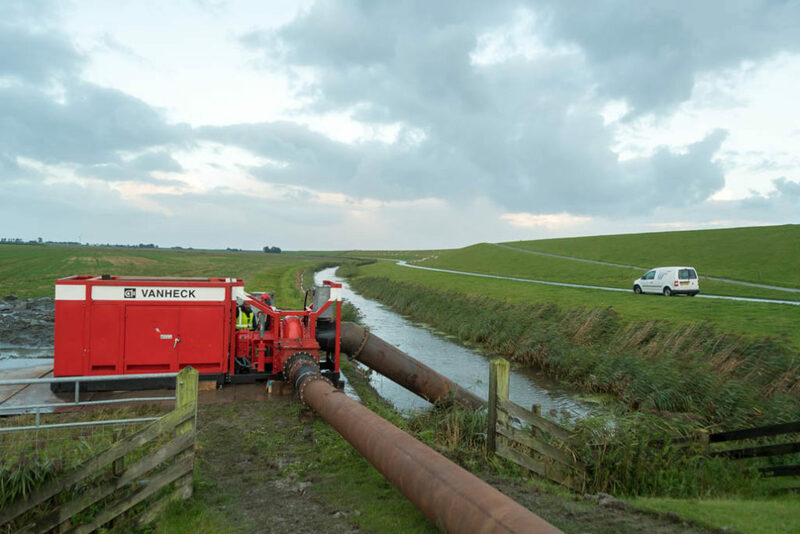 As a result of the persistent rainfall and the fact that not all water trenches had been excavated thus hindering the drainage to the pumping station, the water at the Nieuwe Zeedijk in Holwerd was so high that the Frisian water authority, Wetterskip Fryslân, had asked Van Heck to provide an emergency pump to cope with this situation. 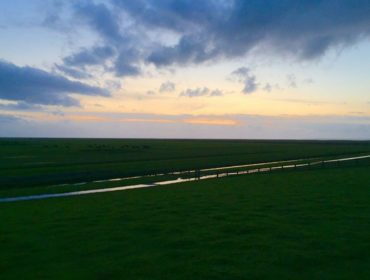 This would enable the adjacent land to be protected and the potato harvest would not be endangered. 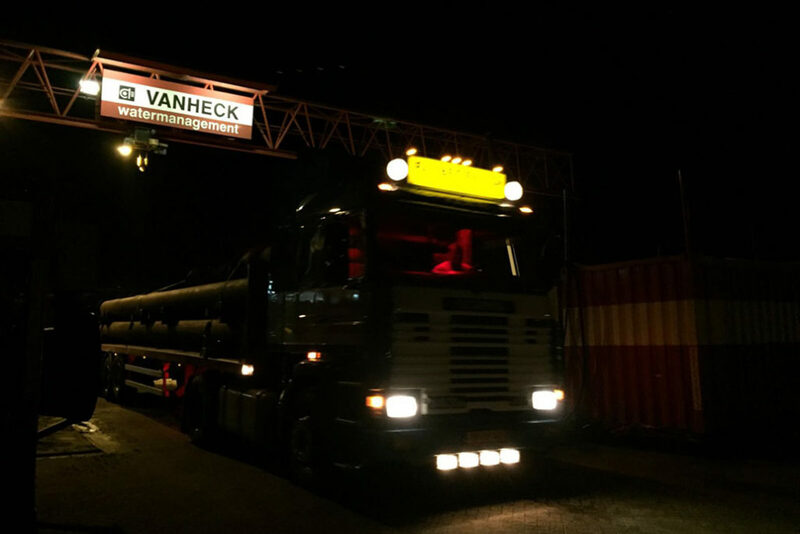 On Tuesday evening at 18:00 the Van Heck team had just left the premises, when the technician on duty received a call from Wetterskip Fryslân asking for the delivery of an emergency pump with a capacity of 50 m³/min (3.000 m³/h), as fast as possible. 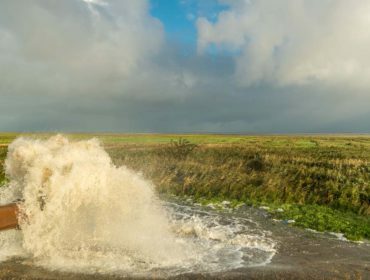 The first heavy autumn storm of 2017 was expected the next morning, so action had to be taken immediately. 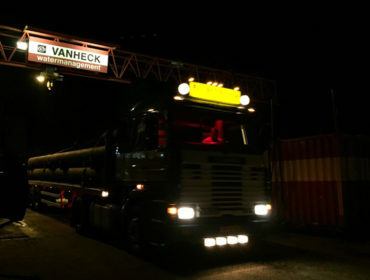 At 19:45, the project manager was on site to assess the situation and towards midnight the first truck was in Holwerd. 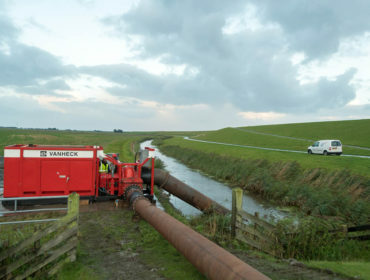 At around 1:00 AM on Wednesday morning the pump could be installed with approximately 100 meters of pipeline. At 06.45 the installation was pumping and everyone could go home with a satisfied feeling. Thanks to the swift action of our own top pros and our regular transporter De Nekker. Our material was on site quickly. 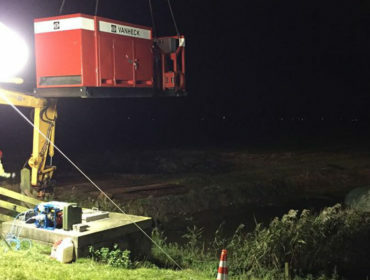 Jelle Bijlsma BV provided the excavators and driving plates and BKF arranged the cranes, thank you! 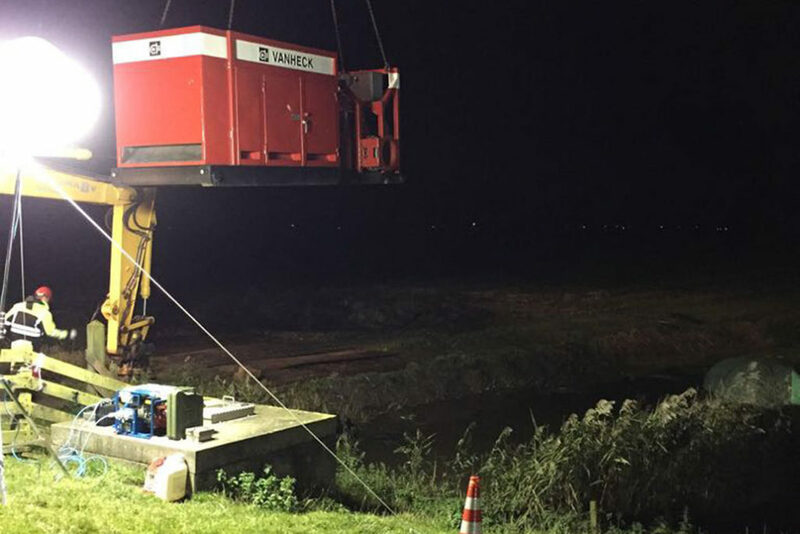 Even the fire department participated, supplying floodlights, great! 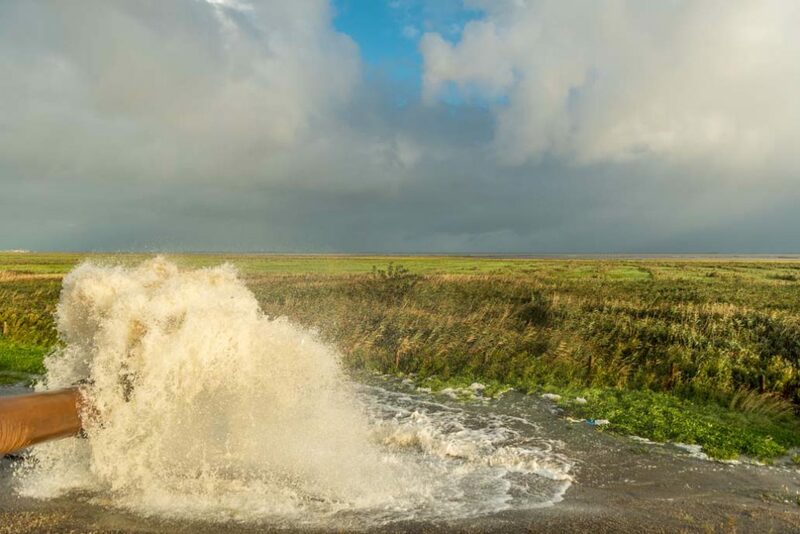 A special thanks for the Wetterskip Fryslân men who helped with the construction and, of no less importance, provided delicious coffee and sandwiches! In short, a nice piece of teamwork!